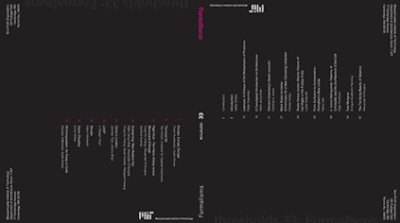 Thresholds 33 is finally out. I contribute a smallish article called Fata Morgana, which is based on my 2007 Master's thesis at Yale. My contribution is modest -- read it, if anything, for articles by Mark Jarzombek, Sanford Kwinter, Yung-Ho Chang, Meejin Yoon, and Peter Eisenman.